Oh my goodness, oh my goodness, oh my goodness! I cannot tell you how thrilled I was to learn that my favorite gluten-free brand, Pamela’s Products, was coming out with pasta. THRILLED, I tell you. 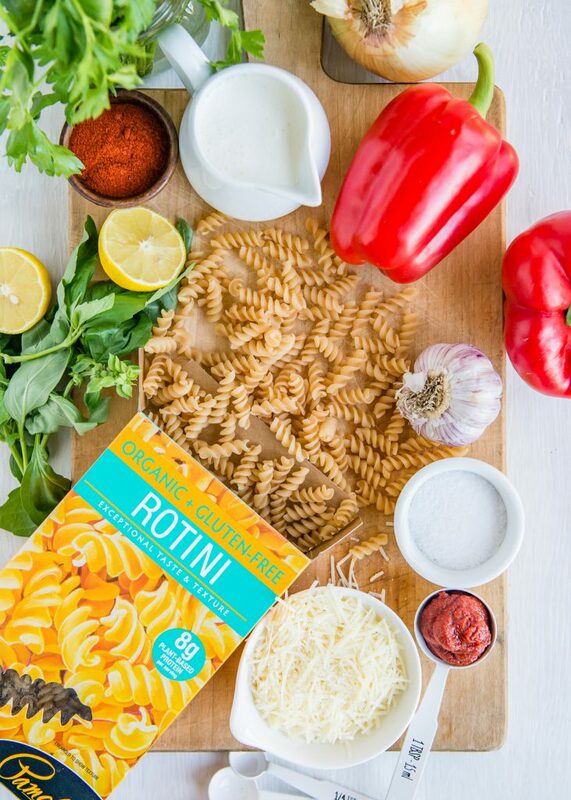 Pamela’s asked if I would be interested in partnering with them again to create a recipe using their new rotini pasta. I didn’t even have to think about it. 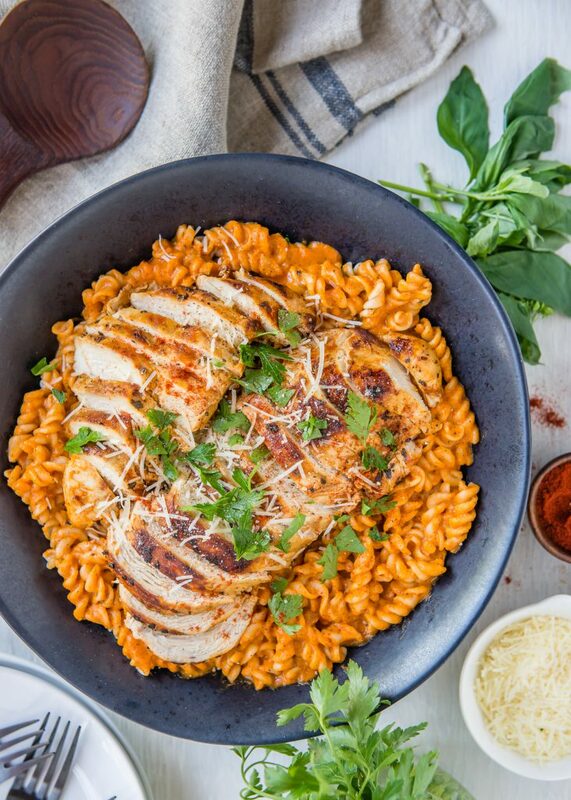 And so today I’m sharing this recipe for Gluten-Free Grilled Chicken Pasta with Red Pepper Sauce. And for the most part, this meal can all be cooked on a grill. Even the pasta if you’ve got the right kind of pot! One thing you may not know about me is that I LOVE pasta. I could eat it every single day. 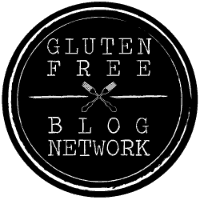 But it’s often hard to find a good gluten-free substitute, especially one that my whole family with enjoy with me. We’ve tried so many different ones and they pretty much always come up short, but this one is a keeper. I don’t need to look any further! That’s not just me gushing – it’s the truth. 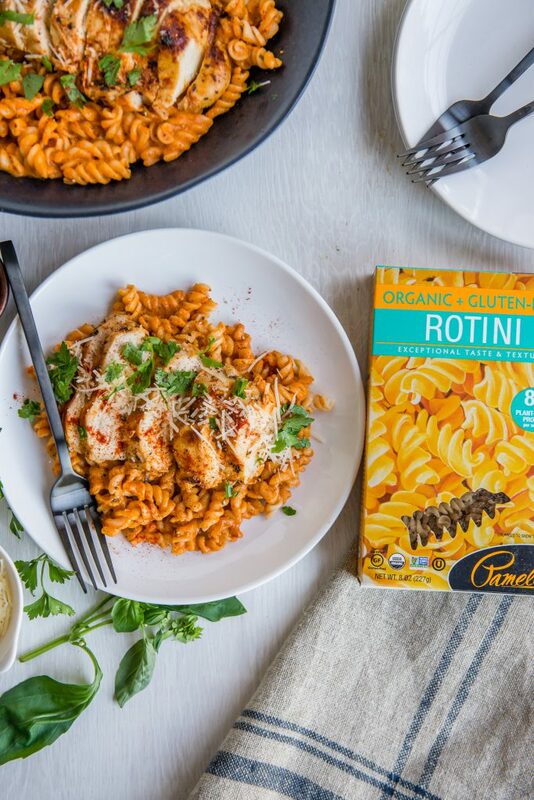 This pasta is made from a combination of organic brown and white rice flour plus pea protein (8 grams of protein per 200 calorie serving), which gives this pasta a protein boost that other pastas don’t have. It holds together after cooking. That’s HUGE. Sometimes other kinds of GF pasta really have a strong flavor, but this pasta is very mild, making it the perfect canvas for any sauce. 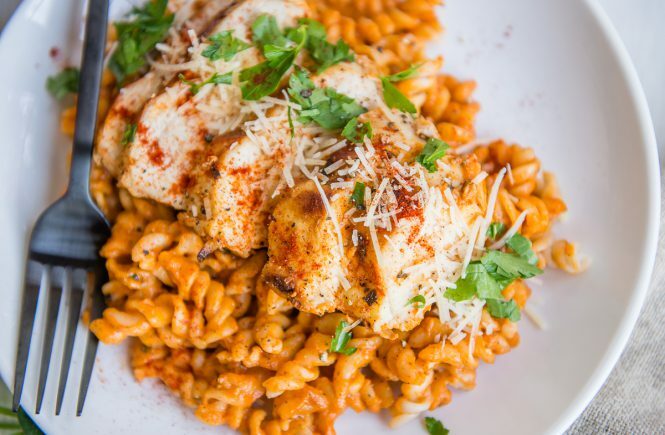 This grilled chicken pasta recipe is based on a favorite recipe for red pepper bisque. 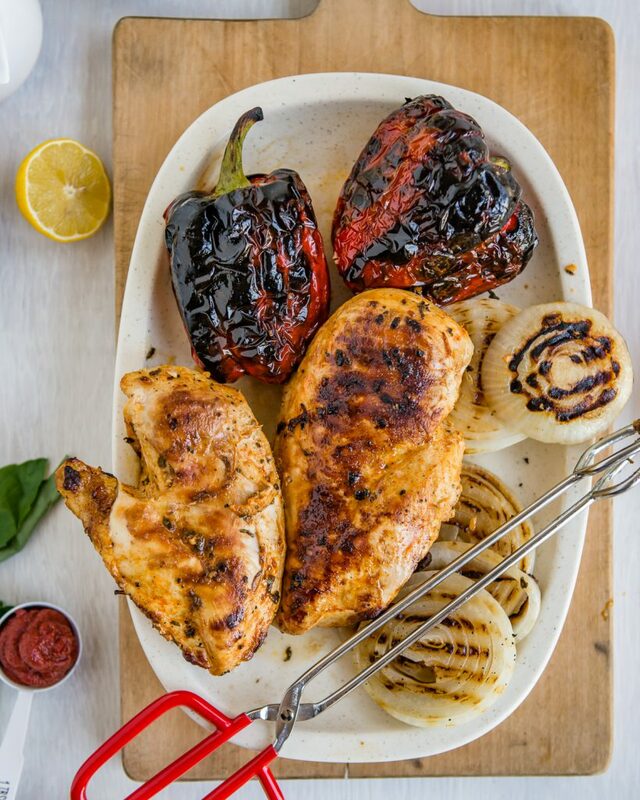 Roasted red peppers are another of my favorites, and I thought it would be fun to grill the peppers at the same time as the chicken and make a super simple blender sauce to go with. The ingredients are simple, the prep is simple. 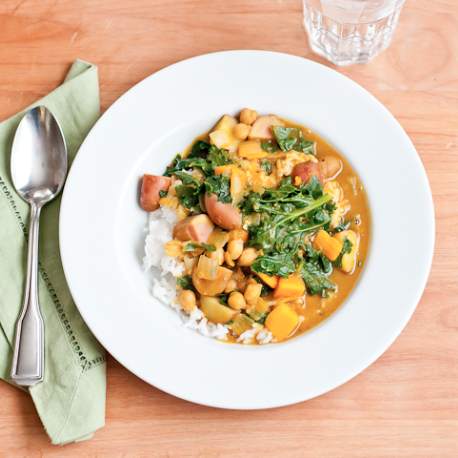 This meal comes together very easily and it tastes amazing too! If you’re pressed for time, you don’t even really need to marinate the chicken. The sauce has plenty of flavor on it’s own. Even though summer is drawing to a close, I’m not tired of grilling yet! I don’t know why I’ve never thought to grill red peppers before to use like roasted red peppers. (Not too different, they taste exactly the same.) While the chicken cooks, the peppers and onion are blackening and blistering. The pasta is boiling away. 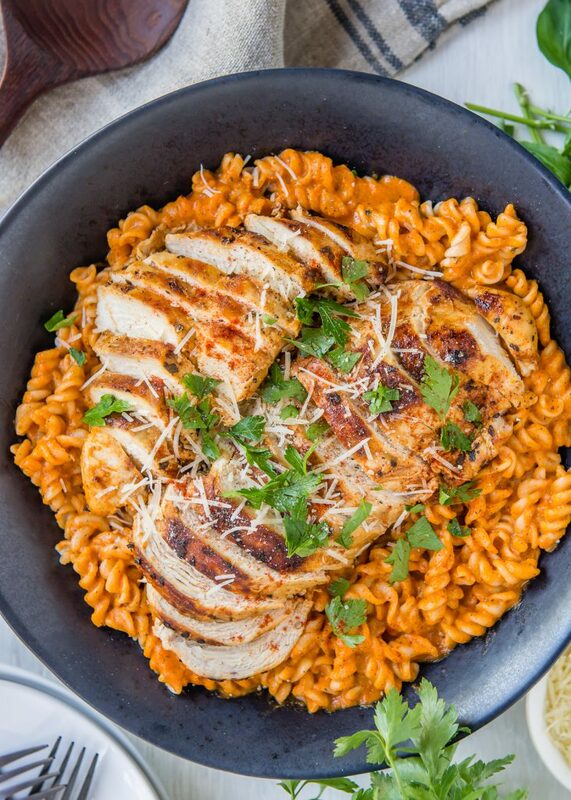 And by the time the chicken is finished cooking, all you have to do is slice it and place it on the pasta and dinner is served. (!!!!) I love these easy meals! Roasting or grilling peppers and onions (any any veggie, really) helps bring out their natural sweetness. It concentrates the flavor too. I think I could drink this sauce and I can’t believe I forgot to snap a photo of it before I tossed it with the pasta. Oops! You can see how luscious and creamy it is. 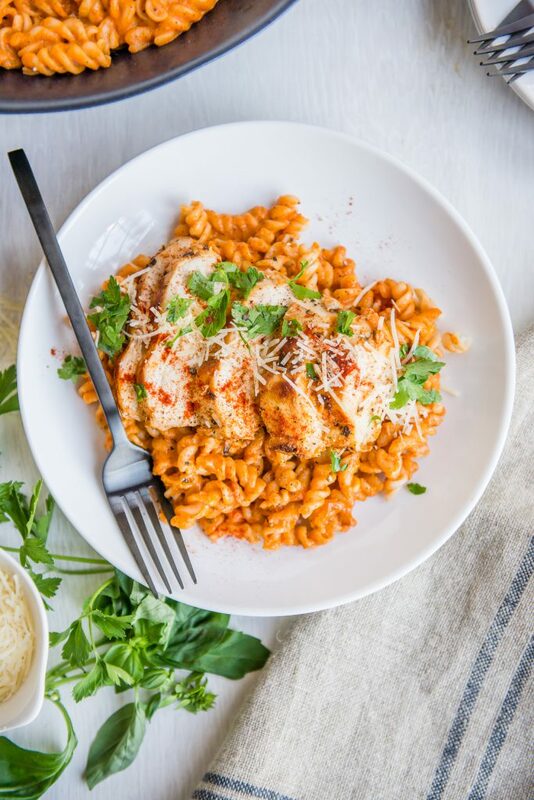 The sauce does have a little cream and parmesan cheese, but I’ve included notes for swapping out ingredients to make this meal according to your dietary needs. 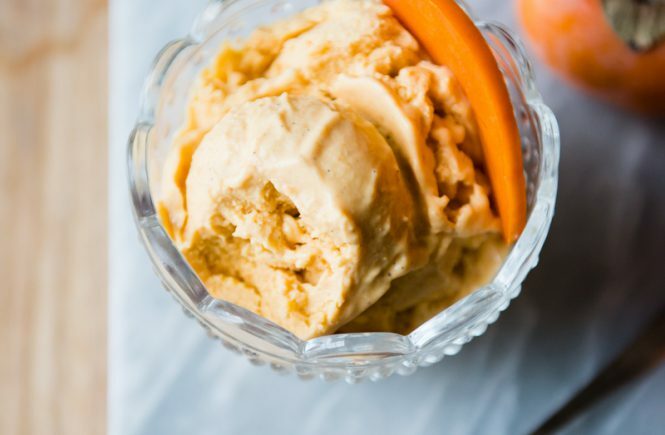 As I was thinking back over the recipes I’ve partnered to create with Pamela’s, it was so fun to remember what we were doing as a family, and how we enjoyed the recipes. Recipe creation and testing is a family affair at my house. My kids just get as excited as I do to try out new recipe ideas. 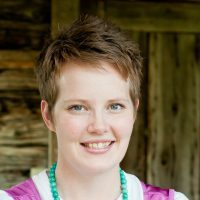 If you’re curious, there are a whole bunch of my Pamela’s Products recipes that you can check out. 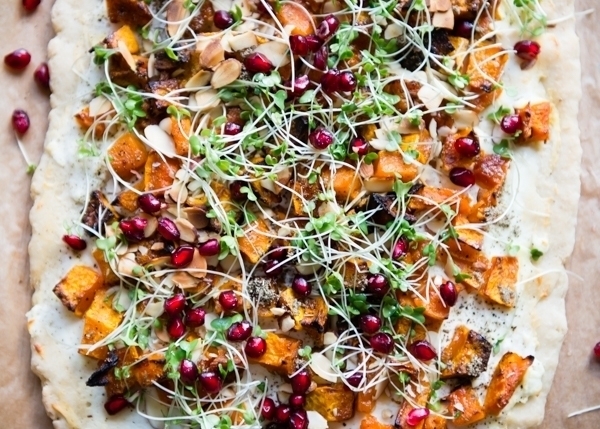 So may great ones for the transition from summer to fall and as we (gasp!) get ready for the holidays. –Gluten-Free Ice Cream Sandwiches – 5 Ways! 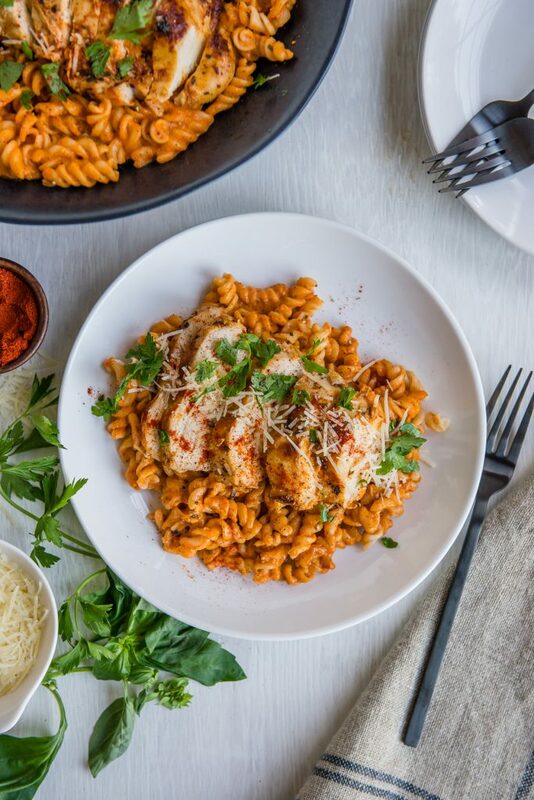 A fast and easy dinner made with Pamela's Gluten-Free rotini and topped with grilled chicken and a sweet and smoky red pepper sauce. Prepare chicken 30-60 minutes before grilling. 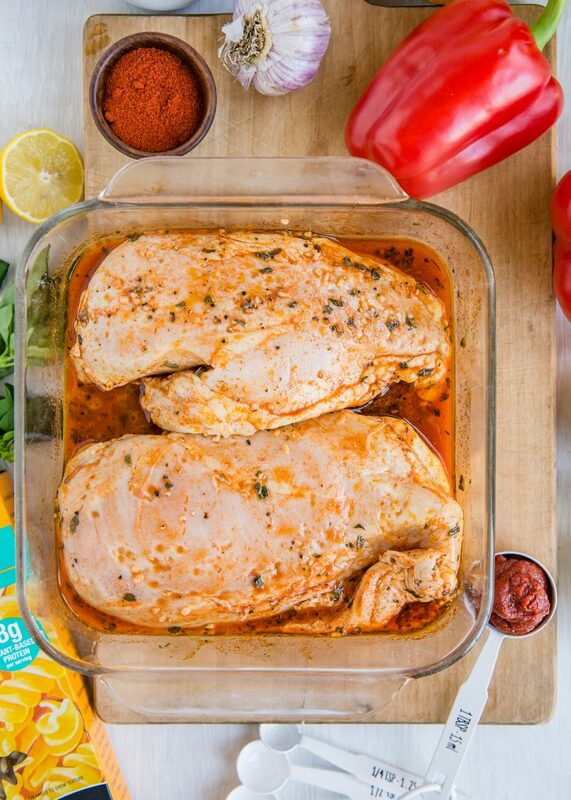 Place chicken breasts into a small casserole dish or resealable plastic bag. Combine the oil, lemon juice, garlic, paprika, sea salt, and black pepper in a small bowl. Pour over the chicken and turn chicken over a few times until it is coated. 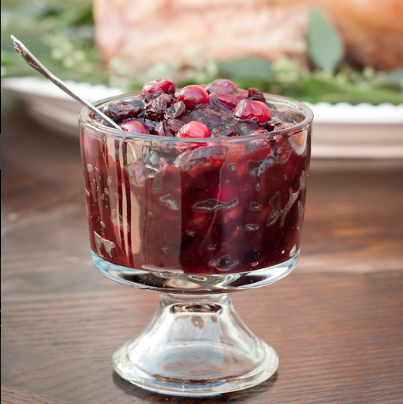 Let marinate in fridge for 30-60 minutes, or up to overnight. Bring a pot of salted water to a boil and cook pasta according to package directions. Rinse to remove excess starch. Toss with a little of the olive oil and place in a serving bowl. Keep warm until ready to serve. Allow the bell peppers and onion to blacken a bit, then turn over. Repeat so that all sides of the bell peppers are blistered and blackened. Transfer to a glass bowl. Cover with plastic wrap and let stand for about 10 minutes. This will help in removing the blackened peel. While chicken finishes cooking, use your hands and paper towels to rub away the bell pepper skin. Remove the stems and seeds and place peppers into a blender jar along with the grilled onion halves, heavy cream, parmesan cheese, tomato paste, garlic, dried or fresh basil, paprika, salt and freshly ground black pepper. Puree until smooth. Heat the sauce gently in a saucepan until hot, but not boiling. 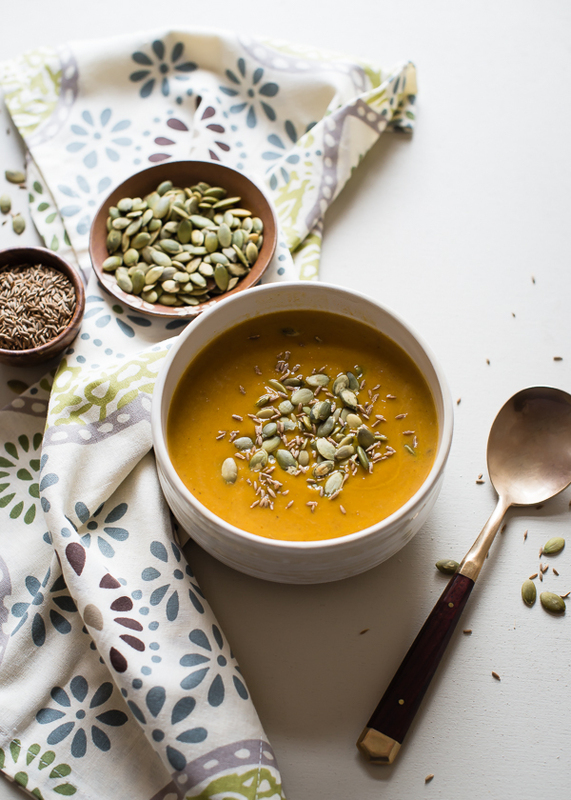 If you have a high speed blender, keep blending on the soup function until the sauce is warmed through. When chicken has finished cooking (and has reached an internal temperature of 165°F), let it rest for a few minutes on a cutting board before slicing. Slice thinly against the grain and set aside, keeping the chicken warm. 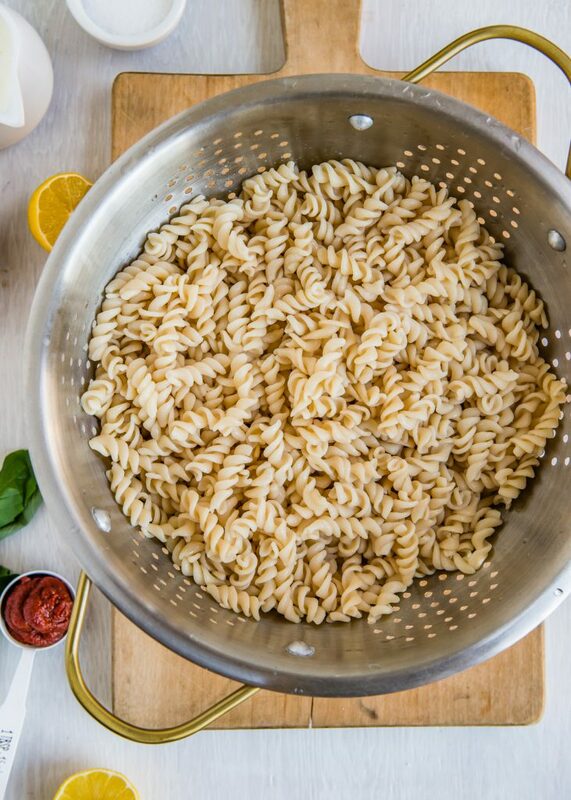 Place warm pasta in a wide, shallow serving bowl. Pour the warm sauce over the top. Toss gently to coat. 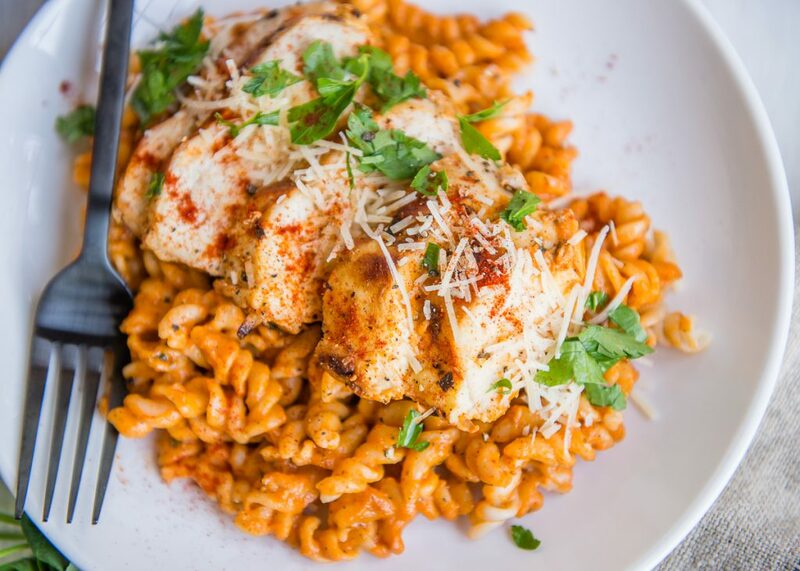 Place the grilled chicken over the top and garnish with parmesan cheese and fresh parsley. 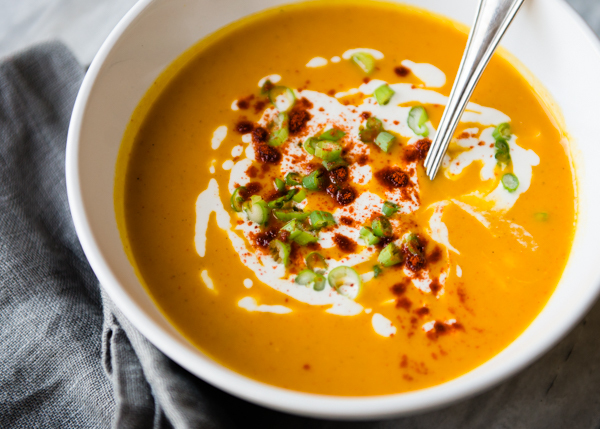 -To make this dairy-free, simply omit the cheese (or substitute with a non-dairy, vegan cheese), and use ½ cup cashew cream plus a little water to thin the sauce. -To make this vegetarian, substitute grilled veggies (such as broccoli or cauliflower "steaks," zucchini, or eggplant), or use your favorite vegetarian sausage.